...or, the trauma of shopping for kids' clothes. Do you have an elementary-aged daughter? If so, you've probably heard of Bobby Jack. This clothing brand, which seems to have burst out of nowhere in the past couple of years, is the greatest thing since sliced bread at my oldest's school. According to her, everyone wears Bobby Jack clothes. Except for her, who has the meanest Mom in the whole entire world. In the first place, I'm not fond of branded clothing. Give me something that doesn't have a cartoon character, movie tie-in, or pop star on it, please. Plus, a lot of the slogans on Bobby Jack stuff are just a little too snarky for my tastes. I like snark, but not on my eight year old. So we went to the store tonight, and the BIGGEST SECTION in the entire girls' department? Bobby Jack. Ran into a former teammate of hers? Wearing Bobby Jack. Bobby Jack, Bobby Jack, Bobby Jack. And I admit, the colors and styles can be cute, and some of the shirts aren't as snarky as others. But I held my ground. We left "Don't Call Me I'll Call You (In Your Dreams)," "My Attitude-Your Problem", and "Blah Blah Not Listening" in the store. So this week is the start of the new fastpitch season, also known as "eating fast food every %)$% night" season. We've been schlepping our two girls to practice for a few weeks now, but usually one of us can stay home with the other kids and get dinner started. But now that games are starting, there'll be no more "you stay home and put the casserole in at 5:30, okay?" Because we have to GO to the games. ALL of them. And cheer the little athletes on. Which would be fine, if the games weren't RIGHT IN THE MIDDLE OF DINNER TIME. Seriously, a 5:30 start time? for the eldest, we have to be there 45 minutes in advance for warm-ups. That puts us at the field by quarter to five. Game's over, if we're lucky, by 7 or 7:30. By the time we're all back in the car, ready to go home, it's so late we can't even think about cooking. But the idea of drive-through cuisine three to four nights a week for the next month and a half is giving me hives. So I'm pleading with you. If you have a great make-ahead meal, something that can be pulled out of the fridge and plopped on the table (or dumped in the crock-pot hours in advance, but ready to eat when we get home), please share it here! My family -- and pocketbook -- will thank you. Thursday Thirteen #13 -- Sports Edition! 1. Four doodle boards in varying states of disrepair. 2. Safeway bag full of individually packaged snack food -- fruit snacks, goldfish crackers, granola bars, etc., etc. 3. DVD player, currently playing Happy Feet. 4. Packaging for Happy Feet, which just arrived in the mail a few days ago. 5. Too many happy meal toys to count. 6. My First Leap Pad, hiding under the back seat. 8. A Dana, which I'm using to write this TT list. 9. Two partial manuscripts I should be editing. 10. The Entertainment Book of coupons, which is out of its pocket and on the middle passenger seat, because the kids like to "borrow" it and flip through the pages looking for favorite restaurants. 11. Two calculators, which is one too few as far as the three kids are concerned. 12. Fastpitch bag for the kid currently practicing out there in the rain. 13. Me, counting the minutes until practice is over. I don't really blame the complainer. Heck, I think hanging out at someone else's practice is kinda boring, and I'm the mom. Poor kid has to attend every practice and game for both of his older siblings. Okay, so instead of focusing on just one book this week, I thought I'd look at some opportunities to WIN books. And not just one book. Oh, no! LOTS and LOTS of books. The post directly below this one, for example? Five amazing baskets of books, gift certificates, and related goodies, all being given away by my editor, Angie, on her blog. Then there's the Samhain Spring Shower contest, going on now over at Coffee Time Romance. More chances for you to enter and win one of three fabulous prizes. So come along and make a comment, any comment (though the nicer ones would be more appreciated :) ) and get your entries into this free draw. I'm off to the Romantic Times Convention in Houston, Texas in under 24 hours and I'm feeling bad for those of you who can't go. So I put the call out to my authors: Give me prizes! We've come up with 5 prize packages that I think should knock your socks off! Here's how to enter. On my blog you'll find each prize basket described and a list of questions under them. You can enter for one basket or you can enter for all of them but each entry must be done in a separate email.In the subject line write: Left Behind Contest and the number of the contest you're entering. As I said, you can enter each one, but each must be entered in a separate email. Entries all on one email will be disqualified. Entries with incorrect answers will be disqualified. All the contests are open to residents of Canada/US. International readers may enter contests#4 and #5 (because of the gift cards in the prize packages 1 to 3, they cannot go to international entrants, sorry!) but you will be eligible for any extra prize draws that I do! Oh, and did I mention that I might throw in a print book or two of winner's choice from "my" authors' Samhain backlist and up the number of winners? And you never know what else I might bring home from RT and decide to throw in for prizes! Okay, I admit it. I brought it on myself. After all, I did write a book titled Strip Tease. But really, how many variations on that theme can you find in my site stats? What's really sad about this, is that probably 99% of these searchers aren't finding what they're looking for. On my website, at least. Thursday Thirteen #12 -- Thirteen Children's Books My Kids Love! Three kids, different ages, it’s quite a diverse list! I can’t wait until they’re a little older; I’ve got lots of faves from childhood I'd love to share with them. My own list would have included Trixie Belden, The Dark Is Rising series, Harry Potter (which I read as an adult, but I think still counts). Do you have a favorite kids book? Or a kid who insists on reading/hearing the same book over and over? Help expand my kidlets’ library! Ooh, I love pimping debut authors. And when the author in question is a member of my local RWA chapter and a friend, it's even better! Impetuous and adventurous, Micki Vaughn is only in Seattle for four more months before she moves on to another town and another job. Adam, carefree and debonair, doesn't believe in forming long-term attachments. But a brief, passionate affair with intriguing and elusive Micki is too tempting to resist. By Micki's reckoning the timing is ideal. They'd have a few weeks getting to know each other, a few weeks of passion, a few weeks getting bored. He'd lose interest and they could part with no tears shed. It was going to be the perfect affair for both of them. Until the past Micki is running from catches up to her and Adam learns she's lying. Micki knows she can't face the truth. Now she only hopes she can keep Adam at bay until it's time to disappear again. Sounds great, huh? Well, what are you waiting for? Head on over to Cerridwen and Buy It Now! A great talent. He will be missed. 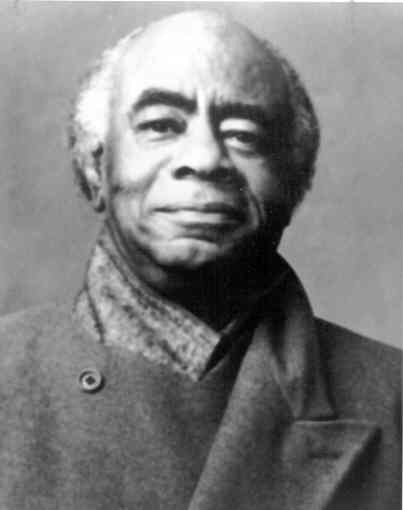 I was saddened to hear of the death of actor Roscoe Lee Browne last week. He had one of the best voices in movies and theater, right behind James Earl Jones. He did a lot of voice work, The Proud Family, The Wild Thornberries, Spider-Man, as well as stage and screen roles. He was also the voice of the AT & T commercials. When I was in college, he came to our campus for a performance and workshop, and I was lucky enough to attend. He was a kind, gracious, and encouraging man, and supremely talented. And I was thrilled when he told me I had a great voice. Coming from him, it was a wonderful compliment! I've just attempted my first vid posting on the blog as well. A clip from the Cosby Show should be posted either right before or right after this post. Roscoe Lee Browne is the one in the bow tie. Enjoy! I don't suppose it'll be a surprise to anyone that I love romantic moments, on film or on TV shows. Historical or contemporary, if there's a sigh-worthy moment, I'm there! 1. Mr. Darcy Takes a Dive. Pride and Prejudice, A & E version. 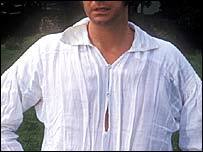 When Colin Firth took a dip in the pond, then stumbled upon Elizabeth in the gardens -- oooh la la! 2. The spaghetti scene. Lady and the Tramp. 3. Monica Shows Up In Chandler's Bed. Friends. Okay, it's more comedy than romance, but I *loved* it. Talk about a shocker -- and a great set-up to the whole story arc. 4. The final scene of An Affair to Remember. 'Nuff said. 5. Lucy Finally Tells the Truth. While You Were Sleeping. At her own wedding, she confesses she's in love with Jack. "Not that one...*that* one." 6. Mark Darcy's Monologue. Bridget Jones's Diary. This was a tough one -- because there are just so many good sigh-worthy scenes in the movie! 7. Elinor Loses It. Sense and Sensibility. Get your mind out of the gutter -- this is Jane Austen, after all! It's the scene almost at the end, when Emma Thompson's character learns that she has a chance with Hugh Grant's character, after all. 8. Niles Confesses To Daphne. Frasier. "Oh, for heaven's sake, Dr. Crane." (She kisses him passionately.) "I think you can call me Niles now." 9. Anna's Speech to William. Notting Hill. How can you resist a line like, "I'm just a girl, standing in front of a boy, asking him to love her." 10. Hannah Gets The Bottle of Rain. Anything but Love. This one's coming out on DVD soon -- not this episode yet, unfortunately -- and I am *all* over it. 12. The Rain Dance. Singin' in the Rain. Okay, not technically a romantic scene, but his absolute joy in his love for Kathy just shines through. I melt a little every time I see it. 13. Jamie Confesses His Love for Aurelia. In Portuguese. Love Actually. What, do you think I have a thing for Colin Firth or something? Just because he shows up three times on this list? Yes, I could have gone on and on. It was hard to narrow down! And this list doesn't even take into consideration 'sad' romantic moments, like the end of Casablanca or any sitcom where the characters almost-but-not-quite get together. See, this is what happens when I go on vacation. I completely lose track of time, and miss out on pimping a great new book on its release day! But I'm making up for lost time now. Margaret Wilson, a debut author with Samhain and Awe-struck Books, has two books out this month (one at each publisher) and the first, Ellie's Dream, released last week at Samhain. The last thing Ellie Newman expected to see was her husband wrapped in the arms of a blonde. With her son almost grown, her job a bore and a husband whose hobbies don’t include her, she is ready for a change. Out of the blue, Ellie gets a chance to live another life when she goes to New York City for the summer to escape her problems. She gets a job of sorts, pet-sitting for her friend’s cousin. She loves New York. The parks, the food, the museums, the clubs all beckon. The only annoyance is Seth, the beast who unexpectedly shares the apartment. Seth wants her to leave. Women are trouble and he needs to focus on his music. But she is hard to ignore, especially after they discover a mutual love of jazz. Ellie is up for a fling. After all, who can resist such a bad boy? Ellie’s Dream is about finding your heart, finding your passion and letting go. So there you have it. Book BIN Tuesday, one week late. Hope you enjoy! Thursday Thirteen #10 -- Why My Hubby RAWKS! 2. I make him laugh. Nothing's better than surprising him with something funny and getting that grin out of him. 3. He's the world's best resource for music and film trivia. If I'm ever on some quiz show, I want him to be my lifeline. 4. If I'm ever in a bad situation, I *know* he'll be my lifeline. 5. He's been sole breadwinner since our second child was born. Financially, it would have been a lot easier if I'd gone back to work, but he supported me in staying home with the kids. 6. He thinks I'm brilliant. 7. Whenever we go on long car trips, he drives. This is significant, because (a) I hate to drive, and (b) I can write on my Dana. 8. When I'm really sick, he'll take sick leave to take care of me -- and the kids. 9. As much as he teases me about my low pain threshold, when I was in labor with our first and in serious pain, he hunted down someone to find the anesthesiologist to help me, NOW. 10. He does the dishes. 11. He has a great eye for clothing. I know that whatever he buys, I'll love -- and wear. 12. He supports my writing. 13. This weekend, he ran out for a couple of hours to "go to a guitar store" -- and came back with a new laptop for me. He bought it because (a) I'll be able to work without waiting for one of the other members of the family to finish up on the desktop; and (b) he knew I'd never buy one for myself. So I'm writing this list on my brand new Toshiba. Yay! I could go on and on, but that's thirteen. Have a great Thursday! Hope everyone is enjoying April so far! Thanks to the lovely and talented Selena Kitt, I've been tagged with a new meme -- five things I obsess about. Oh-kaaay... I'll give it a shot! 1. Reading series books in order. I used to be able to read a book even if it was in the middle of a series. No more. If I'm going to read Sue Grafton's mysteries, I've got to start at A, baby! It just drives me crazy to find myself in the middle of ongoing storylines and wondering who the heck that person is who just dropped in. And, of course, I adore series, so I have to spend that extra bit of time searching out the books in order. 2. Like Selena posted, I'm obsessed with Netflix. Is my queue up to date? Am I balancing choices for me, my husband, and my kids? Am I forgetting some new release? 3. Cooking Light magazine. I rarely actually try a recipe from it, but I've got stacks of 'em with gorgeous pictures and intriguing menu ideas. Then I go make chicken tacos like every other Tuesday of the year. So there you go -- my obsessions. In return, I'm tagging Diane Craver, monkeybard, and Stacy. Have fun, ladies!